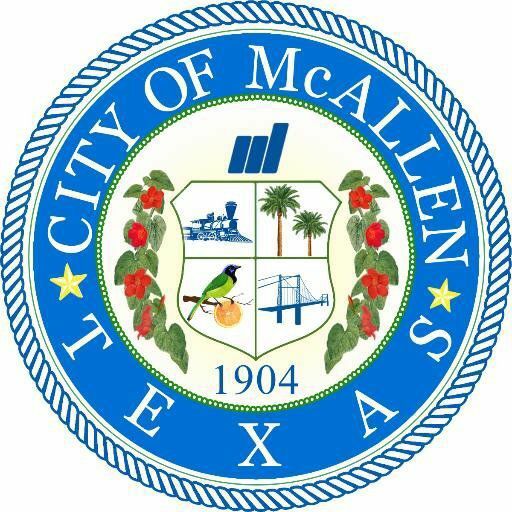 McALLEN — A forum for McAllen City Commission candidates on Wednesday brought some of the players to the table, but not everyone. 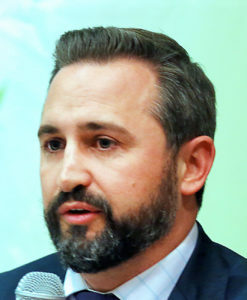 Mark Murray, a South Texas College assistant professor of political science and one of the District 5 candidates challenging incumbent Commissioner John Ingram, was in attendance at the McAllen Country Club for the Rio Grande Valley Builders Association luncheon, but he had to leave after delivering brief opening remarks. The other challenger, Victor “Seby” Haddad, showed up once the forum was already underway and after Murray had left. Ingram was absent. But all the candidates had appeared on stage in early March to discuss many of the same issues discussed on Wednesday in front of dozens at the builders association’s monthly luncheon in hopes of selling their platforms to prospective voters ahead of the May 4 election. Attorney Tania Ramirez and retired city planner Joe Califa, both District 4 candidates, sought to distinguish themselves as they seek to replace retiring Commissioner Aida Ramirez, often sticking to buzzwords like bringing diversity to the city commission, and having the guts to get things done. Tania Ramirez, 30, energetic and entangled in allegations of voter fraud that is under investigation by the Texas Attorney General’s office, attempted to use her age as a positive on Wednesday, arguing that she does not have political or financial ties that she’s indebted to, so instead she can focus on listening to southwest McAllen constituents. 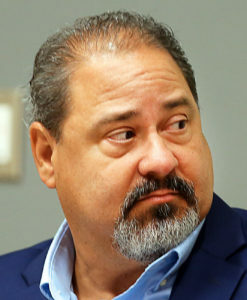 Califa, double Ramirez’s age, tried to use his experience as a city planner to identify issues in southwest McAllen, such as a lack of leadership in District 4 and the absence of a grocery store. 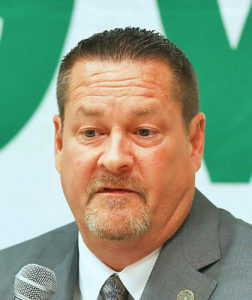 Murray, in his opening statement before he left the luncheon, said he “saw a need that was not being met,” primarily in the public safety sector. Murray cited his desire and fight to keep the fire station near the corner of Harvey Avenue and Main Street, which city commissioners discussed but ultimately never came close to moving to another location. A yearlong reconstruction project is almost done and the fire station is set to re-open later this month. Haddad, once he showed up at the forum, touted his background as a banker at Lone Star National Bank and as a small business owner to help promote business and spur growth in the city. He argued that his last 13 years as a banker and working with businesspeople, builders and developers across the city give him an edge in knowing what those communities need. “We’re not going to be defined solely by the most successful in our community, we’re going to be defined by how we help the ones who need the most help,” Haddad said. Wednesday’s forum came the day before the final day for residents to register to vote for the May 4 election. Early voting begins on April 22. Ramirez on Wednesday did not have to answer for her own voting history, which has included her casting ballots in Mission as recently as last year, despite claiming to live in McAllen. 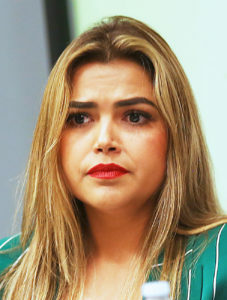 She has said her parents live in Mission and that was where she was registered to vote, but she had not changed her voting address to her McAllen residence. The Mission Police Department found in March that a complaint from a Houston-based attorney against Ramirez accusing the candidate of committing voter fraud “held merit” and forwarded the complaint to the attorney general for further investigation. But Ramirez said she hopes her “fierce” energy will allow her to “get things done” for District 4. Califa was a bit more pragmatic about the future of McAllen, including the importance of filling the void left by Julianne Rankin, the city’s planning director who retired last week after more than 30 years with the city. Haddad also mentioned Rankin’s retirement, and the prospect of hiring a new planning director, which is fundamental to the city’s development, something he sees in his day job. “I understand frustrations of the builders, I talk to them every day, I talk to developers every day,” Haddad said, adding that if elected he would try to help the city “ease up” on some of the variance requirements to make the building process more fluid for builders. While there wasn’t a bevy of disagreements among candidates, simply different styles and approaches, they all were behind the idea that McAllen, a city that is mostly landlocked, needs to grow vertically.